My husband is from St. Louis and before I met him I didn’t even know this stuff existed. For almost 30 years I was truly missing something amazing! Don’t get me wrong, this stuff is terrible for you. Like really, really bad…. Every time we go back to visit we pick some up at a local grocery store or bakery. And we drive it all the way back home, sort of…..
I’d love to tell you that we are able to control ourselves and not break into it on the drive home but that would be a lie. To be honest, it usually doesn’t even make it into the car in one piece! 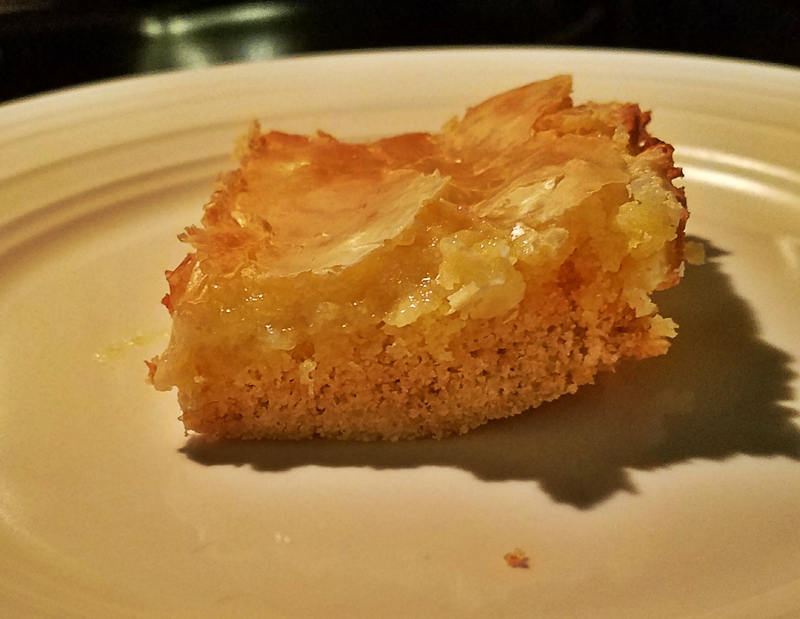 I was looking to make this at home and ended up finding an amazingly simple and easy recipe for St. Louis Style Gooey Butter Cake so that we could have it anytime we wanted. Let me tell you, having the ability to make it anytime is also dangerous. 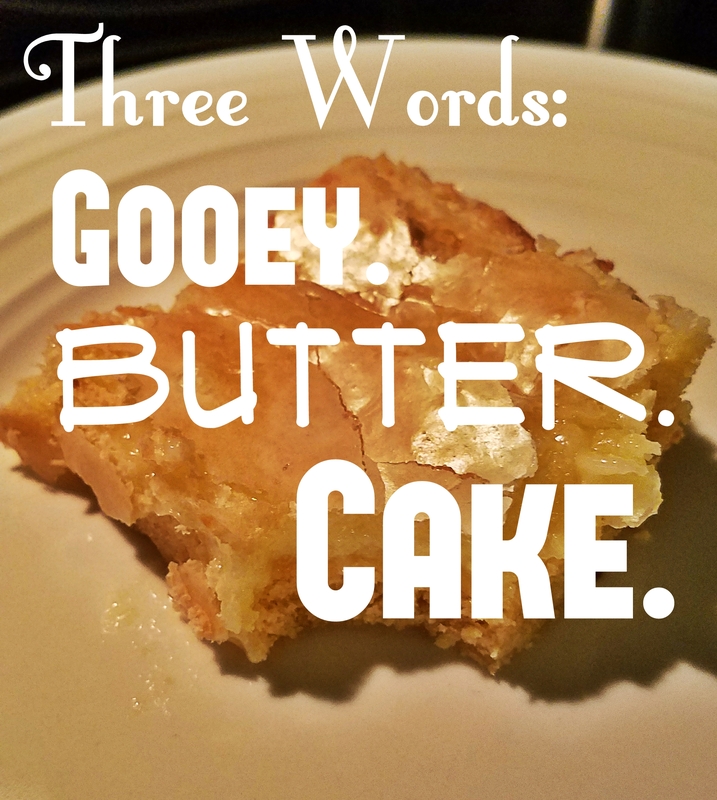 When I was on maternity leave we may have gone on a little bit of a Gooey Butter Cake bender…. Anywho, this stuff is amazing, with the incredible condensed cake base and delicious sugary topping the only flavor I could compare it to would be like donuts. I definitely recommend you checking out the recipe here if you haven’t clicked the other link already! Especially if you’ve ever had any in St. Louis. 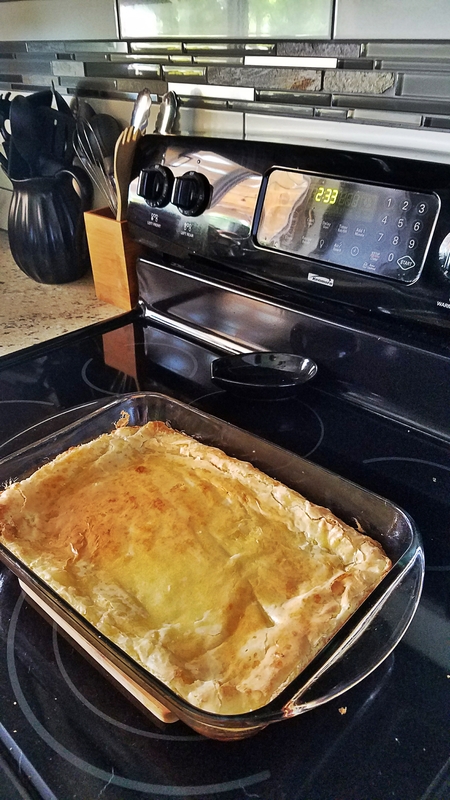 This recipe is fantastic and tastes better than some of the ones I’ve tried even back in Missouri and it couldn’t be any more simple! This was a special Father’s Day treat, you’ve got to restrict yourself to special occasions otherwise you’ll be hurting but I think every once and a while is okay. Hope everyone had a wonderful Father’s Day and enjoys this stuff as much as my husband and I do!